@FtFunston. 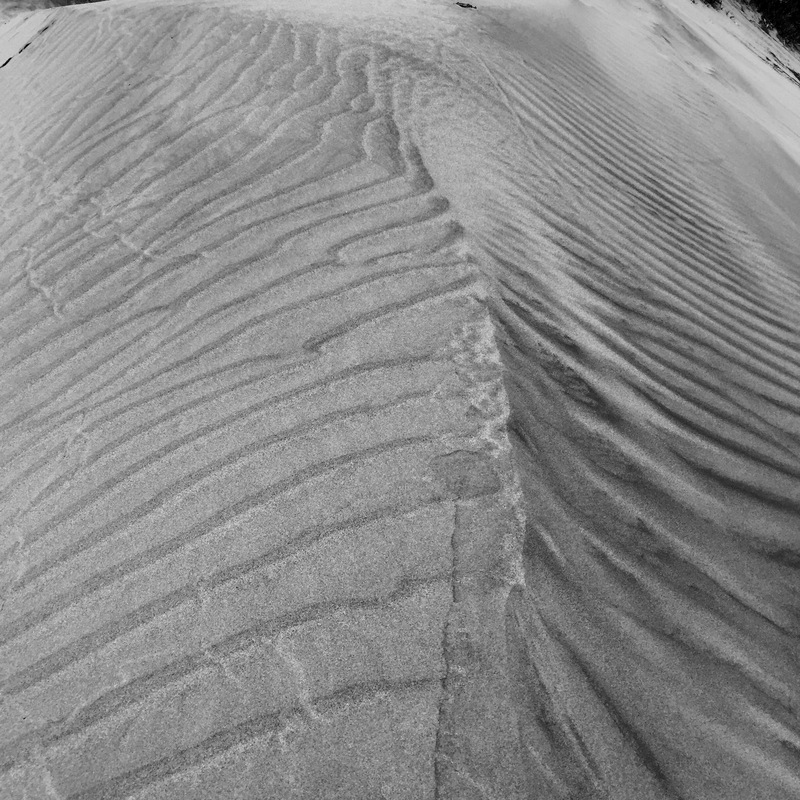 With fairer sands resting offshore for the season, these black sands at Ft. Funston provide a stark background for the abstract scattering of bite size plastic. Shaped by wind. 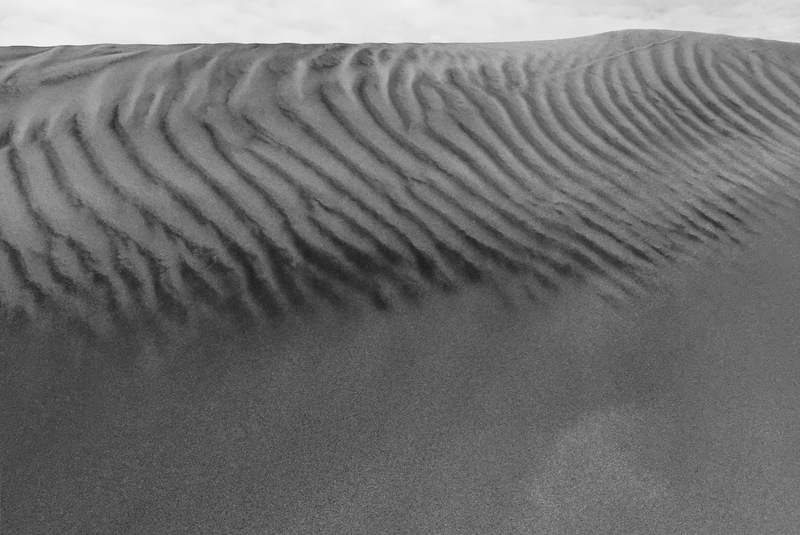 Grains of sand so far from home, sifted by determined winds create a striking pattern, with seeming purpose. Bumped into this pack of friendly Bernese Mountain doggies on the bluff the other day. They were enjoying themselves at Funston after a ride on the Big Dog Bus! They were big, big dogs with lots of smiles to go around! 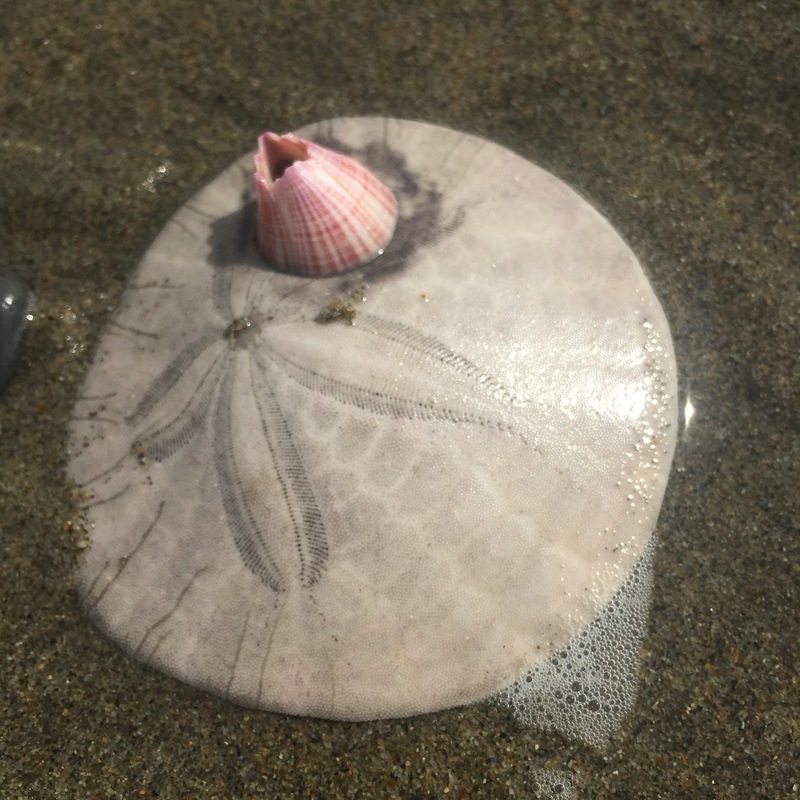 This Pink Barnacle made its home atop an agreeable Sand Dollar, which was then found at Ft. Funston. Such a circular carpool companion for the pinkest of barnacles way out west. Ride ’em Pink Barnacle! YeeeeeHawww! 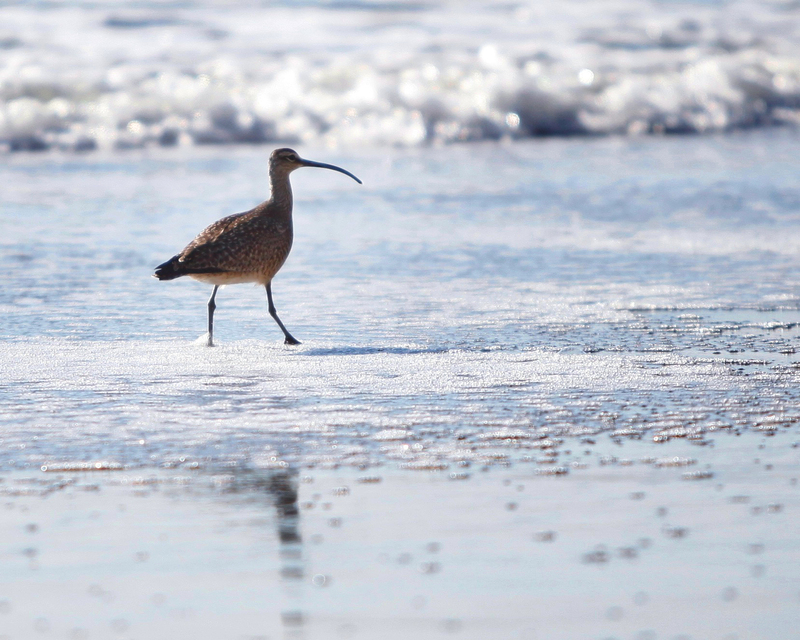 Whimbrels travel the world and stop by Ft. Funston on their way from the Arctic to South America. Australia and Africa are on their itinerary as well.